ANDREW BLACKMAN CURRENTLY LIVES IN BARBADOS. 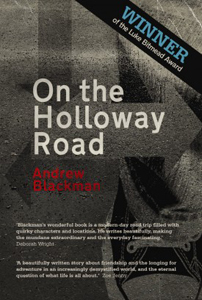 His debut novel On the Holloway Road (Legend Press, 2009) won the Luke Bitmead Writer’s Bursary and was shortlisted for the Dundee International Book Prize. 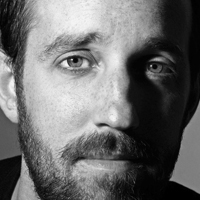 Blackman was the first writer Roelof Bakker approached. His immediate enthusiasm helped kickstart Still. His novel, A Virtual Love, will be published in 2013. For Still he wrote ‘Sanctuary’, a story about a wounded criminal seeking sanctuary in a church in Kilburn. Writing was always my way of understanding the world and expressing myself in a way I could never seem to do verbally. I was a shy, awkward child who always seemed to say the wrong thing, but discovered that in stories I could take my time and find exactly the right words. My rationale has changed somewhat over the years, but that was the initial impetus, and I think it still plays a role. Which challenges you more, short stories or novels? I see myself primarily as a novelist, and spend a lot more time writing novels than short stories. I enjoy exploring themes and characters in the depth that a novel allows. The short story is a different kind of challenge, though, and I like to write stories as a change of pace and as a way to experiment and develop my writing. I wouldn’t say I’m a short-story expert, though, like some of the other writers in this collection. 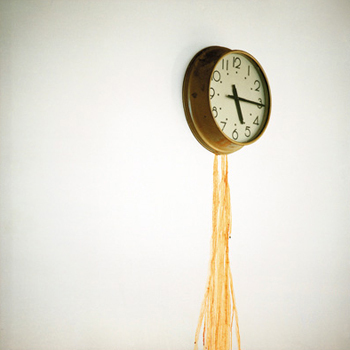 Why did you select the ‘bleeding’ clock photograph? When I went to see Roelof’s original photography exhibition in Hornsey Town Hall one murky evening back in November 2010, this photograph was my favourite – it was the one I highlighted in my blog post about the event. The rusty water trickling down the wall looked like a trail of blood, and the stopped clock was a great visual metaphor for the way that the town hall had been stuck in time since its abandonment. What is the thinking behind ‘Sanctuary’? When I chose the photo, I had no definite story idea in mind – just the ever-potent themes of blood and time. Then I was cleaning out my pockets and found a note I’d scribbled on a scrap of paper that just said ‘Sanctuary – still exists?’ I remembered I’d been thinking about the medieval right of criminals claiming sanctuary in a church, and wondering when this was last exercised. When I found the note, everything came together, and I saw I could bring in the blood (a powerful religious image in itself) by asking what would happen if a murderer with blood on his hands tried to claim sanctuary today. The clock comes in because there’s a time limit before police storm the church, and also because the story is about a man out of his own time. This was a very different story from my usual work, much more violent and action-based. Using the photograph as inspiration got me thinking in different ways, and experimenting with something I wouldn’t normally try. Do you use visuals to generate writing ideas? You’ve been living in Barbados recently. Are you enjoying life in the sun? It’s a beautiful place, with lots to inspire. It’s peaceful compared to London, and I’ve been able to concentrate a lot more on my writing. I’ve only been here a short time, but managed to meet some local writers at the inaugural Bim Literary Festival. My second novel, A Virtual Love, is finished and due out in spring 2013, so I’m hard at work now on the third. It’s loosely based on the true story of my great great grandfather, who was supposed to be the pretender to the throne of Spain, but gave it up to move to England and photograph hippos at London Zoo.